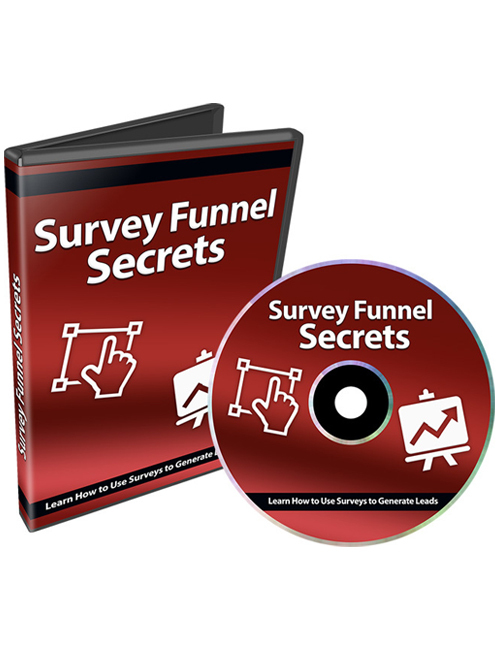 Survey Funnel Secrets – Learn How To Use Surveys To Generate Leads is a 9 part video course that shows you exactly how to ramp up your sales by giving people exactly what they’re looking for. This system explains the power of micro targeting. Often times, customers can’t figure out exactly what they’re looking for. They may have an inclination but need a little hand holding. By segmenting the audience into specific niches and demographics through surveys, they get closer towards knowing what they want. From there, they are more into the buyer’s mindset which leads ultimately to your products. This course lays it all out in easy and simple steps to ensure you fully grasp every single aspect of this powerful method in getting your customers to dig for their wallets to buy from you. You’ll learn the philosophy of this system and why it works so well, analyzing your buyers and their needs, creating your surveys, and a whole lot more. This course goes even beyond surveys and pinpoints additional powerful methods you can implement in your marketing strategy to make even more income. When you’re ready, hit the download button.